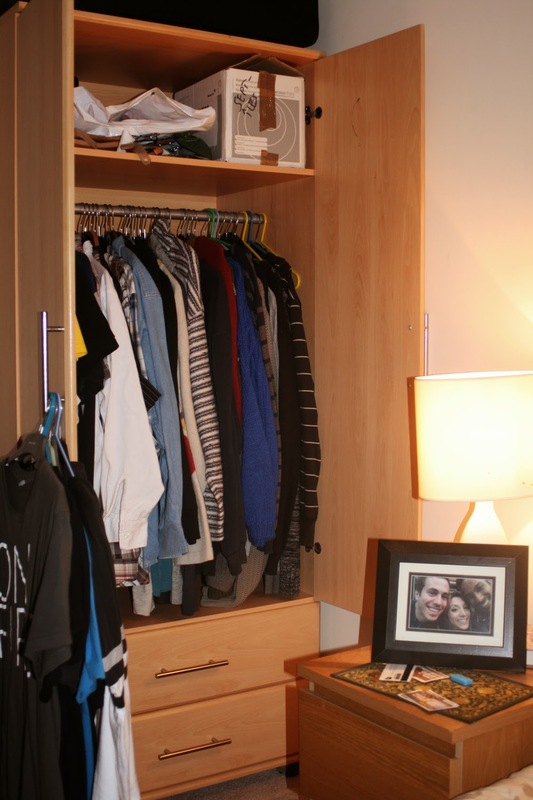 The boy and I have recently got ourselves our very own live-in flat mate. They're most fun, I do recommend you getting one. They're 1/2 price at Tesco too. Only, our flatmate is somewhat of a diva. D. I. V. A. Diva with a capital D. (Pain in the arse) and so ingrained are his diva-ish tendencies that he even wears other divas on his clothing, exclusively. In fact, it would seem that inside a diva's wardrobe, one just finds more divas. Or, at least, their tour t-shirts. 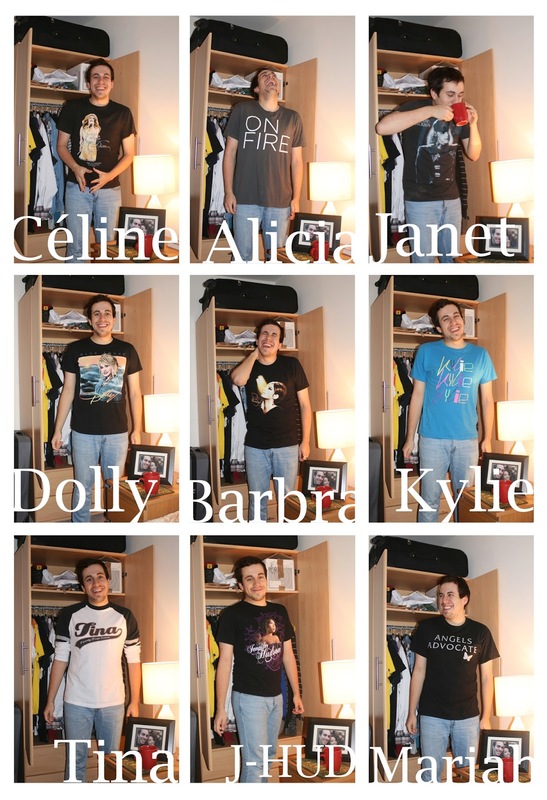 Allow me to present a whistle stop tour of the diva species and their contribution to "fashion" via my flatmate's divalicious t-shirt top-picks. Céline Dion, Alicia Keys, Janet Jackson, Dolly Parton, Barbra Streisand, Kylie Minogue, Tina Turner, Jennifer Hudson and Mariah Carey. A pot-pourri of pop-star memorabilia tees, as modelled by the #1 diva of them all, Gwynne (...it's just Gwynne) Because, after all, you're nobody until Gwynne wears you.